If there was ever a way to hack the aquatic industry, this is it. 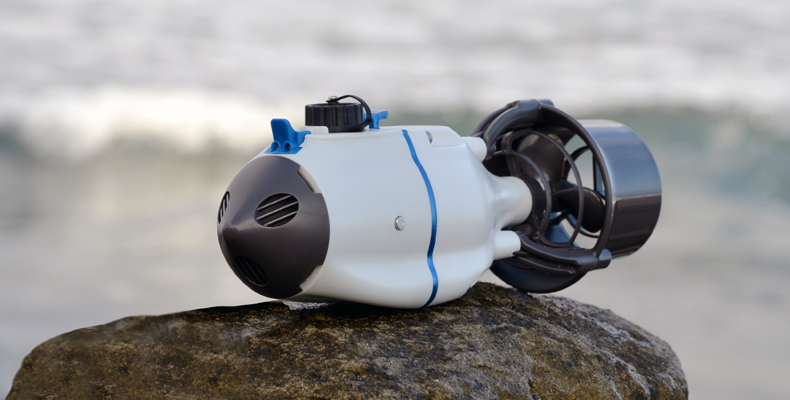 The Bixpy Jet is the world’s first and only portable, handheld water propulsion device. Every piece of technology that has gone into developing this product is ground breaking: from the electronic circuitries that control everything, to the design of the propeller. Even the way the system switches on and off has been researched and perfected to bring you one of the most innovative, yet intuitive device of its kind. Owning a Bixpy Jet will make many adventures accessible to new users and give experienced users a way to explore new places, a safe way to get home when you need to get home and a way to do things you never imagined possible.